for $525,000 with 4 bedrooms and 1 full bath. This 1,654 square foot home was built in 1914 on a lot size of 0.1375 Acre(s). 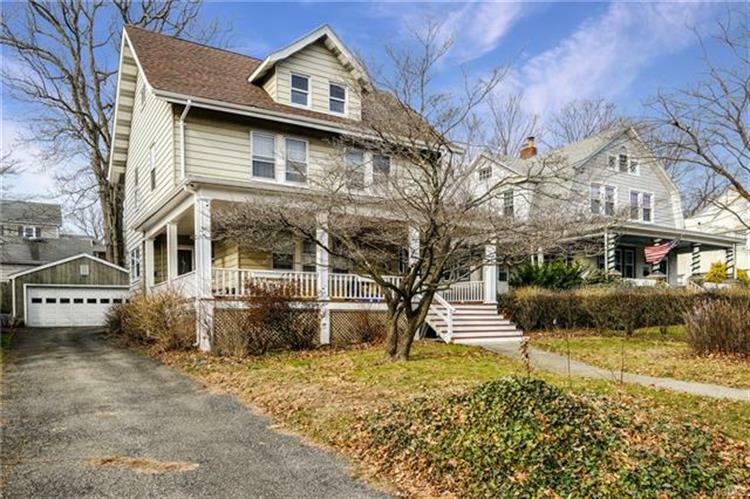 Spacious, sun-filled four bedroom Colonial home has all the charm and character to go with it! Enjoy the inviting front porch and yard. The first level features a generously sized living room, a spacious formal dining room which leads to the kitchen with gas oven/range, granite counters, pantry and separate laundry room. Perfect for entertaining. Includes wood floors, solid wood doors and detailed wood accents throughout. The second level features a master bedroom, three nicely appointed family bedrooms and a hall bath. 250 gallon oil tank located in the basement. Third level and full unfinished basement both have great potential. Set back on a lovely level lot '“ this is a perfect location with a commute to NYC under an hour. Minutes to Parkways, Shopping, Restaurants and The Westchester County Airport. House is being sold as is '“ No Concessions.